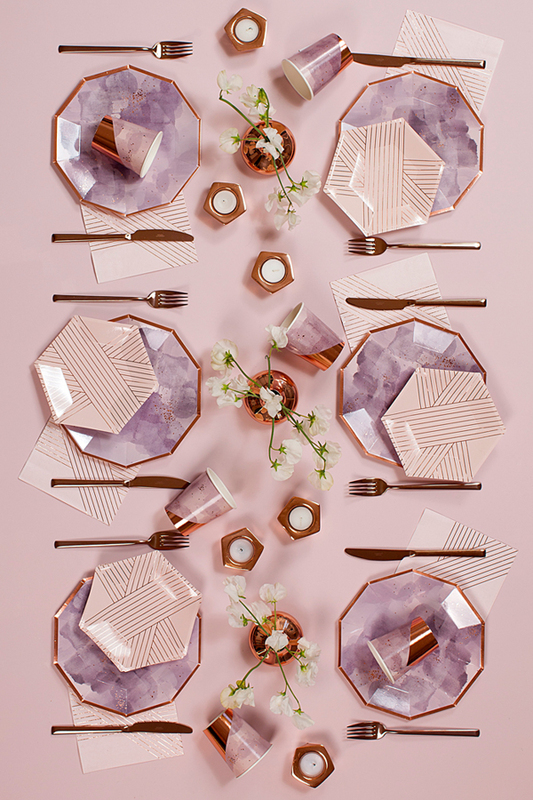 Hi everyone, as most of you know, a lot of my time is now spent working full time on Harlow & Grey, a design partyware business that I launched with my dear cousin Gloria two years ago. It’s an exciting time for our company. And even though we have to endure the common struggles of growing a small business (someone please tell me persistence pays off! ), we are hanging in there. All thanks to our two super amazing and dedicated employees – Erika and Quyen – who keep us afloat! 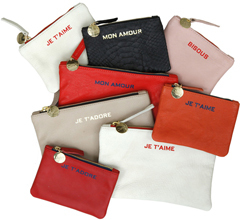 And as our modern and chic partyware collections continue to grow, so is our business. My main role for the company is marketing and part of my responsibility is to seek out how to best use social media platforms to grow our business. Good thing for me – and I think this is what 7 years of blogging have prepared me for – is that (1) I understand that creating authentic and original content is good for business, and (2) using the right social media platforms to share those content can put your business on a fast track. I know this for a fact because when I was building out Shop Sweet Things, Pinterest was the platform that gave me the space to share my inspirational ideas that have potentinally reached millions of users – like Hadley’s first birthday party (under $150), the pink wall in my living room, these DIY dip dye tassel chandelier, Hayden & Taylor’s shadow puppet show, and oh, even my style-obsessed self . It gave my blogging business a tremendous boost. 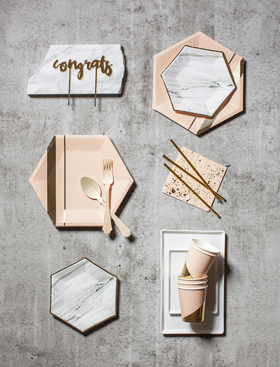 So when I was building out Harlow & Grey two years ago, even before our business was launched, I shared this sneak peek of our first ever marble and blush Goddess Collection on Pinterest, and within a week we got multiple sales inquiries. Today, the pin continues to circulate and we constantly have customers telling us that they had found us on Pinterest. Needless to say, our Goddess Collection (a combination of good design plus social media strategy), remains our best-selling collection. And as I continue to pin our collections on Pinterest, you can only image the viral effect it has for Harlow & Grey. So long story short, if you want to jumpstart and sustain growth for your company, consider putting some effort to creating good and consistent content and using the right social media (like Pinterest) to share- it worked for me twice. 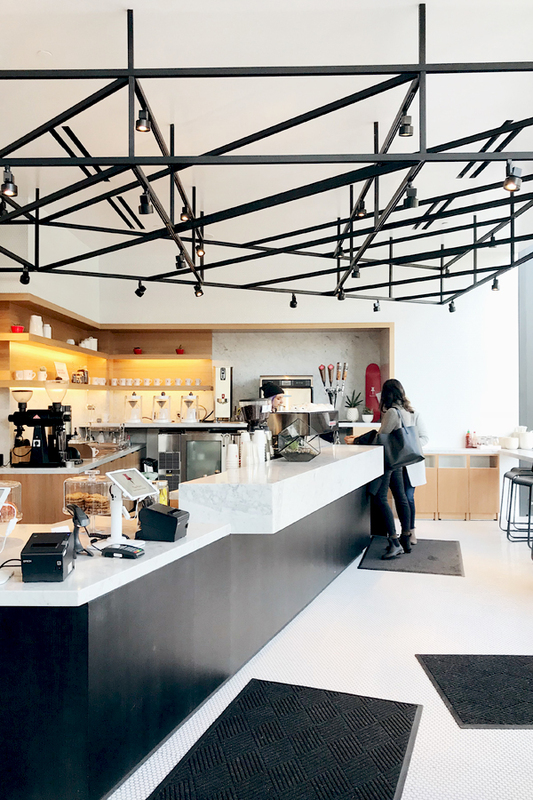 Now, moving onto “how to make Pinterest work for your business”, I recently met up with Pinterest’s community marketing manager, Lauren Michaels, for a coffee chat at their new SF headquarters in Soma. Lauren was filling me in on their first-ever “Creator Conference” happening this June (which I will be attending), as well as all the new and exciting features that Pinterest has now to offer. These features are especially helpful for creators or businesses who use Pinterest as a marketing tool. Did you know you can now convert your profile to a “Business Account” and get analytical insights on your pins? Moreover, there are new practices to help your pins get discovered more easily, which ultimately leads to more exposure. Hi everyone! My name is Lauren Michaels and I’m on the community marketing team here at Pinterest. Everyday, I’m personally inspired to try new things because of the helpful ideas creators share with the world. 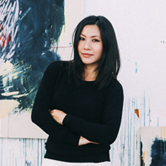 It’s their ideas that spark creativity and inspire millions of Pinners (and me!) to try new things. 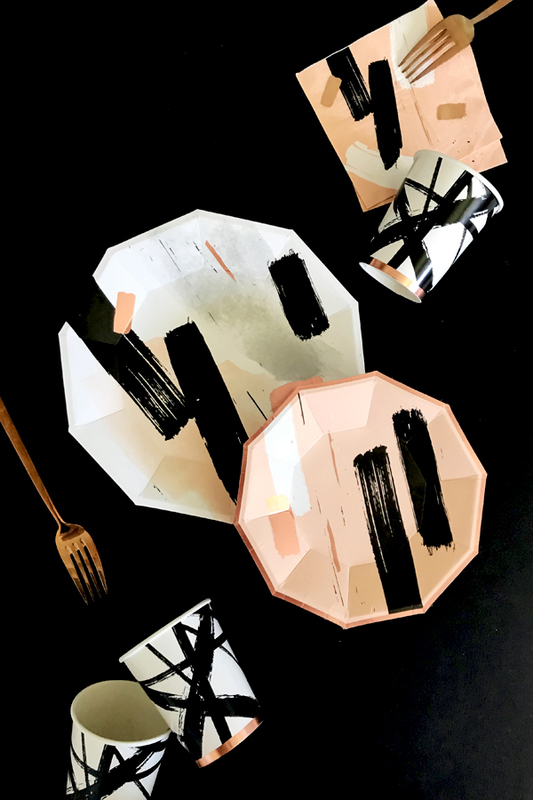 And, because Harlow & Grey is on Pinterest, I was able to purchase these plates I discovered in my following tab for an upcoming baby shower I’m hosting next month. (JEANNE: THANK YOU LAUREN!!!) This year, we are developing new creator-exclusive tools and resources that’ll make it easier for creators to continue growing their business on Pinterest, like Harlow & Grey. 1. WHY CONVERT TO A BUSINESS ACCOUNT? LAUREN: I love this question! Switching to a business account unlocks lots of pro tools—like analytics and ads. It’s quick, easy and free too! Once you’ve converted to a business account, just make sure to use a current email address and sign-up for our business emails so you get the latest tips, tricks and news from us on what we are building this year to help you build your brand. Also, once you claim your website, you’ll get instant access to insights about how your content is doing on Pinterest. 2. WHAT KIND OF IMAGES ARE BEST TO PIN ON PINTEREST? LAUREN: Since more than 200M people use the platform every month to find and save recipes to cook, products to buy, home decor and other ideas they want to try, you’ll want to save ideas that are personal, useful and relevant to your audience. 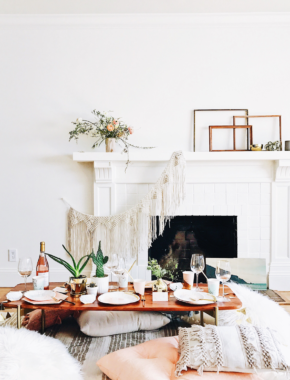 If you are creating content for Pinterest, steer clear of images that are busy—lifestyle images are often more effective and attention-grabbing than product shots. Fashion and style related Pins that show products in real-life scenarios can have 30% higher click-through rates than Pins that show products on a plain background. The ideal aspect ratio is 2:3. Or, 600x900px—square 600×600 work well too. Pins longer than 1560px will get truncated. We optimize for Pins that fit within the preferred aspect ratios. A good description is key as well—Pins with descriptions drive more click-throughs than those without. It’s not just helpful for being discovered in search. If your Pin image doesn’t provide quite enough context on its own, try incorporating some copy onto the image to help land your message. And, make sure to Pin weekly! The time of day and day of week don’t really matter, just focus instead on consistent, authentic Pinning. :) Daily activity is better than a once a week flurry! I suggest adding 10-12 Pins per day, instead of 70 Pins once a week. The first five Pins you save each day will be prioritized for distribution and you won’t get dinged for having a lot of Pins—just aim to keep them organized in relevant boards. 3. CAN YOU GIVE US SOME TIPS WHEN WRITING DESCRIPTIONS? LAUREN: Of course! You’ll want to always make sure to provide helpful, detailed descriptions. If your objective is to drive clicks, use the description to hint that there’s more to see on your website. A strong call to action—like “shop,” “make,” “find,” or “buy”—will encourage people to take the next step. And, use good keywords. Think of the Pinner’s mindset when looking for content like yours, and then incorporate those keywords. For example, if you have a DIY website with an idea for a kid’s unicorn-themed birthday party, use words like “birthday party” and “unicorn decor.” Pro tip: Search can help you find keywords. 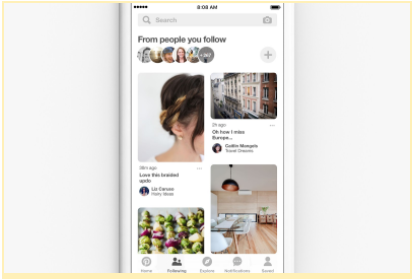 You’ll see suggested searches and search guides when you are looking for ideas on Pinterest. All of these are great keywords you can add to your description (if appropriate!). 4. I LEARN BEST FROM EXAMPLES. CAN YOU SHOW ME HOW YOU WOULD WRITE MY PIN FOR OUR NEW AMETHYST COLLECTION? LAUREN: For your Pin, here’s an example of what you could do! 5. HOW DO WE BUILD FOLLOWERS OR GET OUR PINS DISCOVERED? LAUREN: Great question! First and foremost, your followers are your community on Pinterest! It’s important to authentically grow your following. We distribute your content to your followers first to figure out what’s resonating. From there, we distribute your best performing Pins to other people who are looking for ideas like yours. If you build an authentic audience that engages with your content on Pinterest, this will help grow the distribution of your content. ** Generate a Pincode for your profile to let people in the real world find your Pinterest presence. Just click on your profile picture to create and download a unique Pincode that will drive people directly to your profile. You can add this code to business cards, swag, packaging, and more to help your audience find and follow you on Pinterest. Another tip! You can add up to 20 relevant hashtags. Pinners use hashtags to discover trending, relevant content. Hashtags should act as broad search terms, not niche humor (#vegandinner is great, #nobakebrownie is not). Just keep in mind that Pinners use hashtags to discover trending, relevant content. 6. CAN YOU GIVE US SOME ADVICE ON HOW TO UTILIZE THE ANALYTIC TOOLS? WHAT ARE SOME KEY METRICS THAT WOULD BE HELPFUL FOR A SMALL BUSINESS? ** We’ve also updated ‘Showcase’ to be called ‘Featured boards’ now. You can display featured boards in a rotating showcase on the Overview tab. You can use this space to highlight anything from seasonal content to your all-time best ideas. 7. ANY LAST TIPS OR ADVICE ON HOW TO BEST USE PINTEREST? LAUREN: I’d love to share a few of my go-to features with you! First is board sections–this is such a great way to organize your ideas and clean up your boards on Pinterest. To start organizing, go to one of your boards and tap “Add section.” From there, pick the Pins you want to add and voila—you’ve got a section! You can save new ideas to it like you always do, like using the Pinterest save button for your browser. Check out my Sips and Bites board for inspiration! 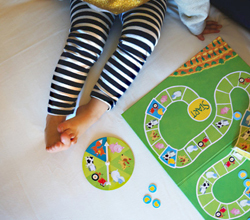 In addition, check out a few other new organization tools that make it easier to plan your next project, including rearranging Pins and archiving boards (YES!). Another favorite feature of mine is the following tab—it’s one of the best ways to discover new ideas on Pinterest now and and see the latest Pins from all the people you follow, in the order the save them. 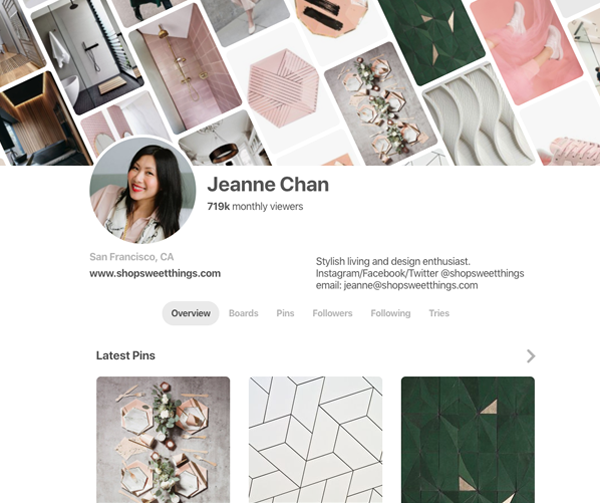 If you are a content creator, the new following tab makes it easy for Pinners to discover more ideas from people and brands you follow on Pinterest. 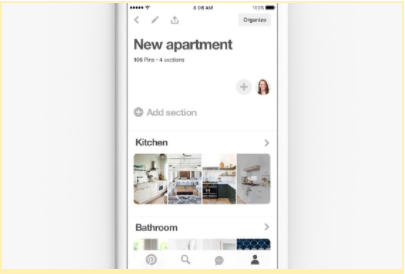 With this new tab, you have more control of your Pinterest discover experience—you can see and control who you follow by tapping the “+” button at the top of the following tab. From there, you can also discover more people to follow based on your interests, and unfollow anything that’s no longer relevant. It’s great! Thank you so much to Lauren and Pinterest for sharing all these great tips! Hope you all got to jot down some takeaways. Happy Pinning!